Mold is naturally present in virtually every building in our mixed-humid climate of the Southeast. The extent to which it thrives, however, depends on other conditions. Most molds require a certain temperature range, a moisture level in excess of 70%, and a food source to flourish. Unfortunately, these requirements are easily met in the Southeast. Our temperature ranges support mold growth almost any time of the year and there is no lack of food sources in any building. For example, the wood framing, insulation and drywall that are some of its main components are all excellent food sources for most molds. Thus, the key to successfully preventing mold growth in our region is moisture control. However, if moisture rises above this level, look out! The durability and healthiness of your building are at risk. Mold can also grow on the interior of a building if moisture levels are high enough. 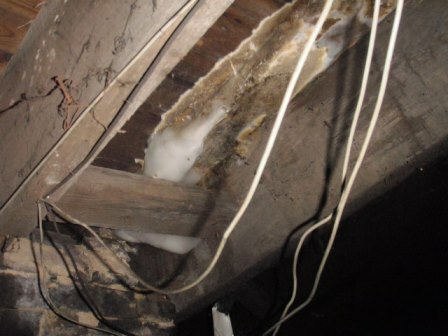 Often, mold growth on the interior occurs as a result of a water intrusion event, such as a leaking roof, a leaky foundation, or a flood. 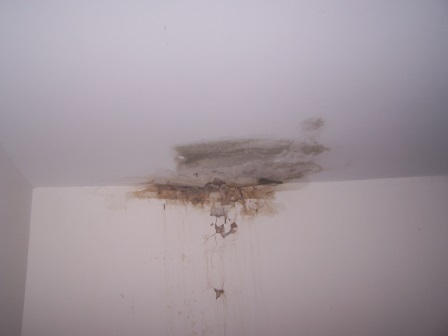 Mold also grows in or near areas that are constantly damp, such as shower stalls, garages, crawl spaces or basements. Mold growth on interior of home at bedroom wall due to high humidity levels. water intrusion through foundation wall. Mold growth on interior wall due to continued water intrusion through foundation wall. 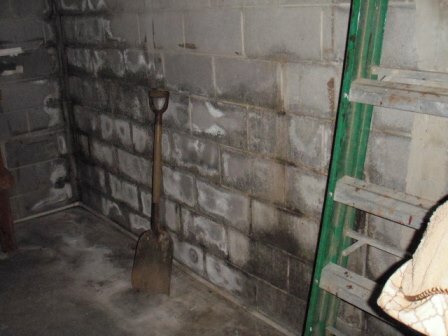 Mold in basement due to high moisture levels and water intrusion through foundation wall. Mold growing on exposed wood framing in unfinished basement area due to excess moisture. Many buildings in our region already have serious mold issues before construction is complete, due to the continued use of traditional construction practices, which don’t always include adequate building air leakage control or moisture control. Mold growing on floor joists in newly built crawlspace. 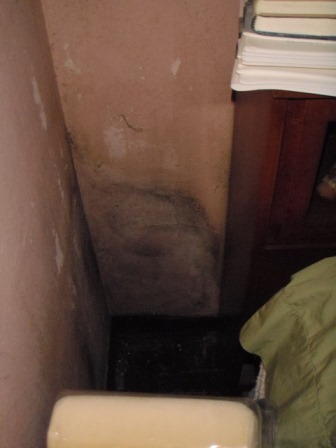 This home has not been fully completed, yet significant levels of mold are already present. Recent developments in building science have led to changes in building codes in our region to address these issues. 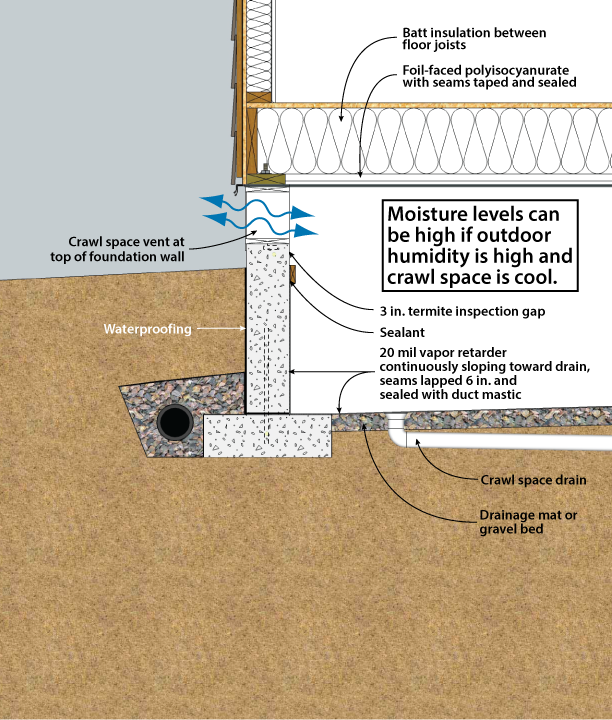 One of the primary changes involves vented vs. unvented crawl spaces. Traditional building practice calls for vented crawl spaces in our region. However, building science has come to realize this is not a good practice because it allows humid air from the outside to enter the crawl space and promote mold growth. 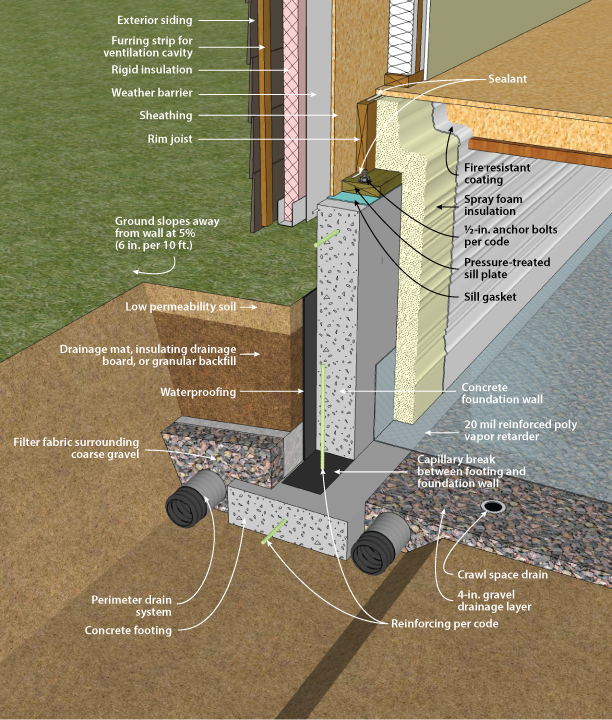 International building code now allows new homes to be built with closed (unvented) crawl spaces. 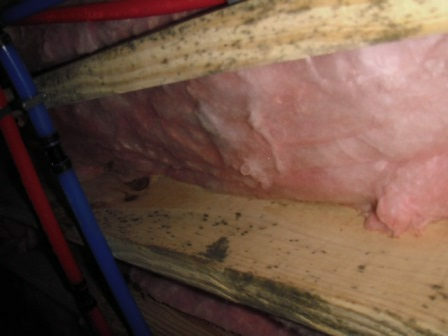 This practice is also sometimes referred to as crawlspace encapsulation. Another change involves the requirement for new homes to be more air tight. 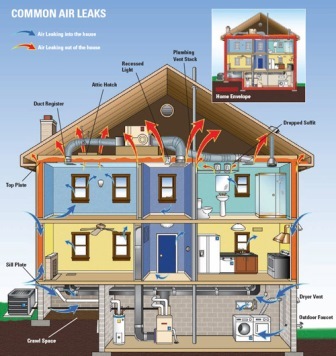 Building science has recognized the need to limit the amount of air leakage a building has, in order to achieve energy efficiency and improve indoor air quality. Beginning in 2012, international building code requires new homes to be built with leakage rates that are equal to or less than 3 air changes per hour at 50 Pascals. This helps to limit the introduction of humid, mold-laden air from the outside into the living space. This is measured by using a blower door. For mold-impacted buildings, it is often necessary to perform some type of remediation to ensure occupants aren’t exposed to conditions that could cause adverse health effects. Remediation measures should include killing the live mold and either encapsulating or removing it, because dead mold spores can also cause serious allergic reactions in many individuals. Mold inhibitor may then be applied. 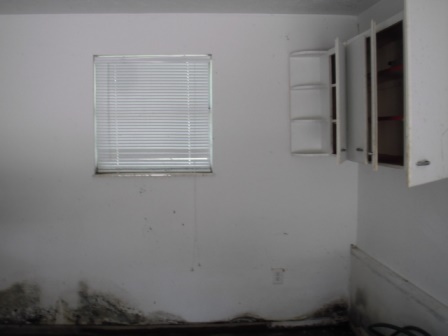 Prior to selecting a remediation method, it is helpful to determine the types of mold present by collecting and analyzing samples from the affected areas of the building. 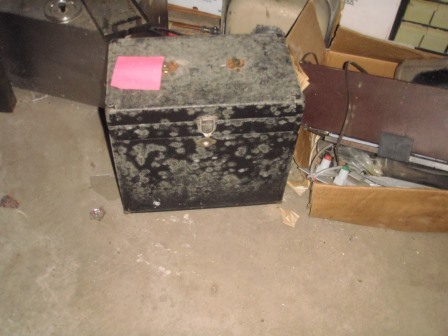 Mold sampling can also be conducted to confirm that remediation has successfully removed the mold. Although various sampling techniques can be used, some of the most common include swab samples and air samples. Swab samples are typically collected when initially characterizing the nature of a given mold problem. Air samples are useful both when evaluating the initial problem, and the effectiveness of a mold cleanup effort. 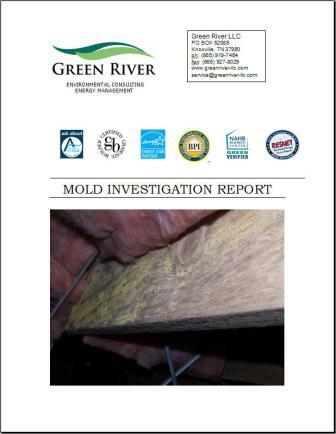 The staff at Green River are trained and certified to perform mold tests and interpret the results. 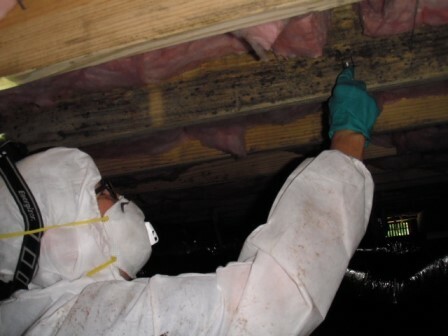 The photograph above shows Green River personnel collecting a swab sample from a crawl space floor joist to determine what types of mold are present. 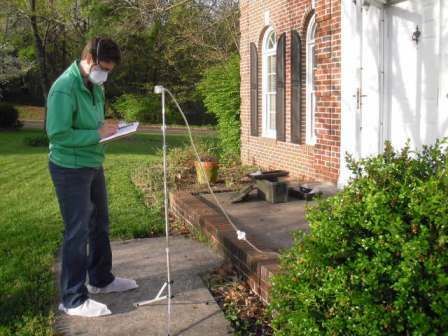 The photograph shows Green River personnel collecting an ambient air sample as part of the overall sampling plan to determine if mold remediation efforts at this home were successful. Our sampling prices include a detailed Mold Investigation Report, describing general site conditions and the types and quantities of each mold present. Give us a call at (865) 919-7464 or contact us online to schedule a mold sampling test today!